Room 20 @Sunnyhills: Assembly Certificates for interesting and descriptive writing! 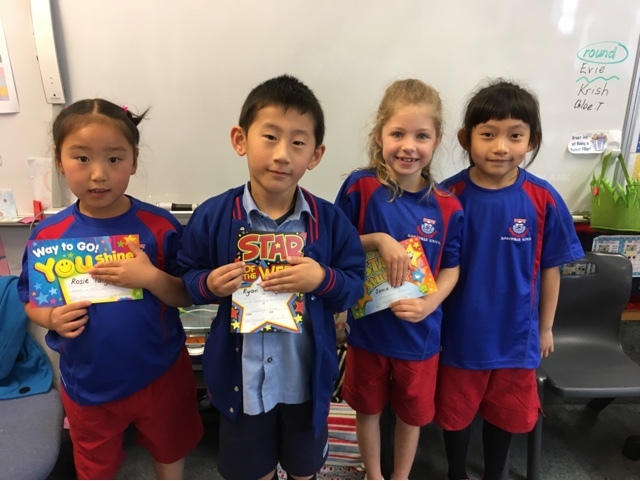 Assembly Certificates for interesting and descriptive writing! Congratulations Rosie, Ryan, Sonia, Carolyn! You are all working hard on your Moment in Time genre writing! Workshop drumming - feel the beat of 25 drums!! Cold weather means warm uniform!